M-26-Julio 羊とめぐる冒険 BMW R1200GSで世界一周の旅 ジェノヴァをたずねて50.80ユーロ / To Genova - 50.80 Euros toll fee!! ジェノヴァをたずねて50.80ユーロ / To Genova - 50.80 Euros toll fee!! It's a fine day, I will have a big ride!! I left the campground at 8:30am and went to a motorway. I headed to the direction of Napoli (2 Euros). After passing Napoli, I rode on the motorway for a while, then I saw a ticket booth. I wanted to find out the price to Genova, but there was no any staff around. 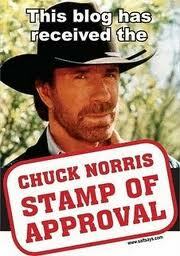 So I was riding on the motorwa without knowing the toll fee!! I could go on the normal untolled highway. However, whenI checked with the GPS and Gogle Map, it would take more than 12 hours, so I decided to use the motorway. I did not need to get to Genova today, but I don't have much time (I want to get to UK by the begining of July) and I want to stay somewhere under a roof for 2 nights and have a good rest. That's why I wanted to get to as far as Genova. I was cruising at 90-100km/h. WIth this valocity, I have a good fuel economy and it'S easy on the tyres. I passed Rome, Fireze and just before Bologna I turned to Northwest to the direction of Pisa. Yes Pisa of the leaning tower. I thought about visiting the leaning tower, but I did not as it would cost a lot and I asn't that interested in. After passing Pisa, it got very mountainous. There were tunnels after tunnels. The short ones were around 200m long and the long ones were around 2km long. Just after I came out of a tunnel, another one came, so I was busy to wear the sunnies and taking them off all the time. If I took local roads, it would take long time to go through this area. Then I had to climb up hill to the hostel. 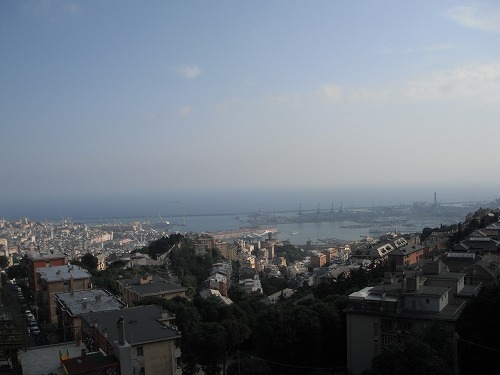 Genova is a port city but as the moutains are just in front of the bay, the city is expanded to the mountains. I got to the hostel jus before 6pm. Te view of Genova from the terrace was magnificent! I updated 2 diaries on the blog and went to bed early. I will explore the city of Genova tomorrow but not too much! Espero que disfrute el aprendizaje del español y tengas una buena suerte!